If you have been seriously injured in a slip, trip or fall accident and you live or work in Aventura, Florida the owner, operator or manager of the premises may be legally required to compensate you for your injuries under a premises liability claim. It is important to contact a personal injury attorney as soon as possible after your accident in order to protect your legal rights. At Gerson & Schwartz, PA our Aventura slip and fall attorneys can offer you a free personal injury consultation to see if you or a loved one have viable legal claim for your injuries. Aventura, Florida is an incorporated suburb of Miami, Florida. Located eighteen miles north of Miami, Aventura has developed a well-grounded infrastructure, including its own police force to serve more than thirty-five thousand residents. With numerous condominium, townhouses, and the world famous Aventura Mall, Aventura is a popular destination for tourists and families. 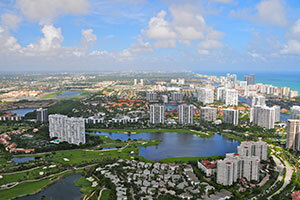 Of course, like any town with a sizable population, Aventura experiences its share of slips and fall accident claims. In many cases, accident victims may have the legal right to be compensated for the injuries they sustain in these kinds of accidents. So, it is important to speak with a slip and fall lawyer in Aventura, Florida as soon as you can after a slip and fall accident happens. Homeowners and store managers have a legal obligation to keep their land safe. This is known as a “duty of care”. The duty of care is higher for store owners and managers, because they are inviting the public onto their premises for the specific purpose of conducting business. But homeowners also owe a duty of care to guests on their property. In the event that they breach this duty and someone is injured as a result, the homeowner or store owner is legally responsible (“liable”) for any damages caused as a result. Nursing facilities, care facilities, and assisted living facilities experience frequent slip and fall injuries. These facilities often provide transportation and safety measures for patients who have limited mobility. Because they are paid for these specific services, nursing facilities can have an increased duty of care when it comes to protecting residents from slip and fall injuries. Patients who experience slips or falls at these facilities often sustain worse injuries that personal injury victims, because their health was impaired before they entered the facility. Even if another victim would not have been injured as badly, a negligent nursing facility is still liable for compensating the full extent of a patient’s injuries. An employer can be held liable for negligently maintaining your working conditions. Many jobs require use of hazardous chemicals, or tasks on dangerous construction sites, or travelling in your personal vehicle on work-related business. Your employer can be liable for injuries sustained on a negligently-maintained work area, or for failing to provide adequate training or supervision. You can recover for your injuries even if you were partially at fault for the accident. Florida is a comparative negligence state, which means that each party must pay the portion of damages for which he or she is liable. For example: if you slip on a puddle near a “wet floor” sign in a grocery store, a jury may find that the store was 50% liable for failing to clean the puddle, but that you were 50% liable for failing to heed the warning on the sign. In this case, the store would be required to pay half of your damages resulting from the accident. A large component of your award is entirely subjective. Most often, the largest portion of a personal injury award is the pain and suffering component. This is, of course, impossible to measure objectively. Insurance adjusters are therefore trained to offer as little as possible for pain and suffering – even on valid claims. Nonetheless, you are entitled to legal compensation for the pain, humiliation, and inconvenience of your slip and fall accident. While many slip and fall accidents result in little more than a bump or a bruise, they are also capable of causing extremely serious injuries, including fractures, ligament injuries, injuries that require surgery, and event traumatic brain injuries, spinal cord injuries, and injuries which can be fatal. As a result, it is critical for slip and fall victims in Aventura, Florida to make sure their legal rights are protected and that they receive the compensation to which they are entitled under Florida law. 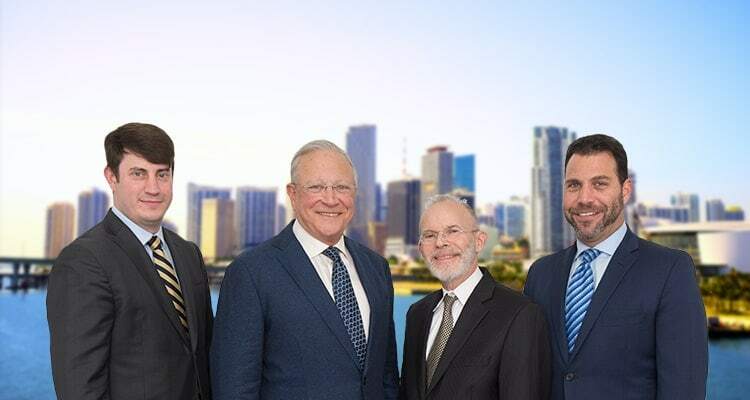 At Gerson & Schwartz, our personal injury and accident attorneys serving Miami, Florida have over 46 years of experience protecting the rights of slip and fall accident victims. Call our office today at (305) 371-6000 or call us toll free at (877) 475-2905 to schedule your free consultation with an experienced, aggressive Aventura slip and fall accident lawyer. You can also email us through our online contact form.